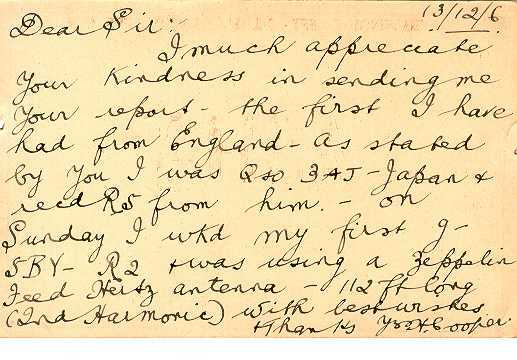 "I much appreciate your kindness in sending me your report - the first I have had from Emgland - as stated by you I was QSO 3AJ Japan and recd R5 from him. 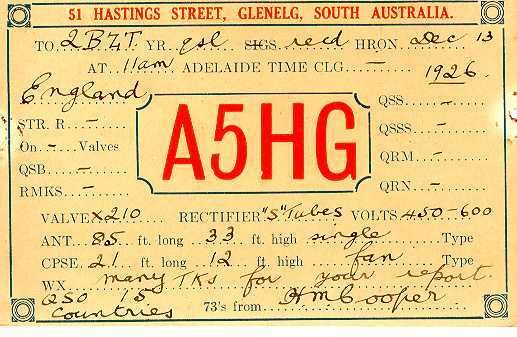 On Sunday I worked my first G - 5BY - R2 & was using a Zeppelin feed Hertz antenna - 112 ft long (2nd Harmonic). With best wishes & thanks..."